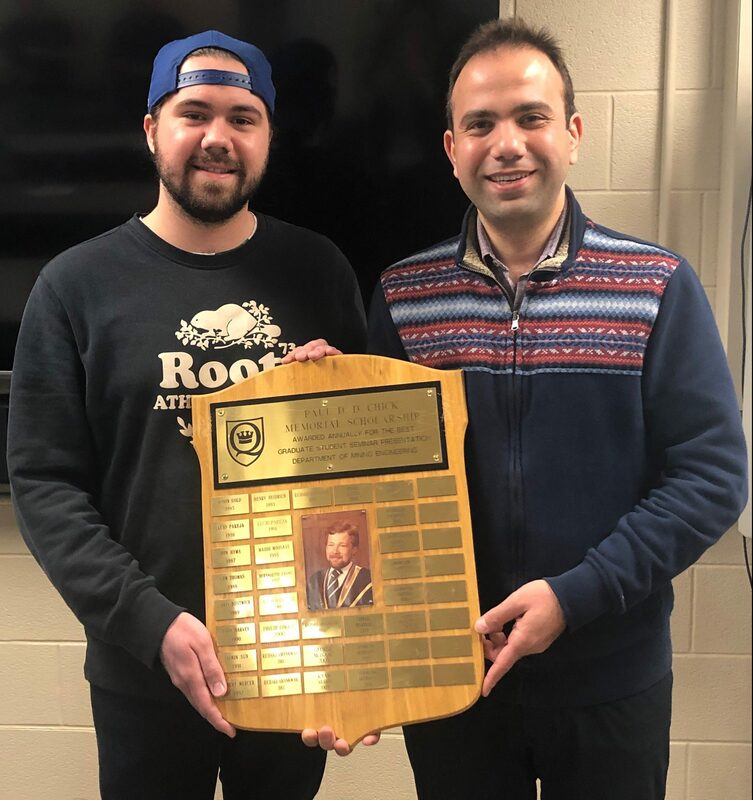 This year’s Paul Chick Award’s winner of Mining Department was James Mcneice, the first year PhD candidate of our hydrometallurgy group. 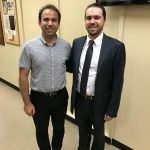 He did a very nice presentation in Mining Graduate Seminar series. Part of Team Hydro having “End of the year lunch”. “Team Hydro”. Missing from the photo are Dr. Rina Kim, Sue Lee, Uchitta Vashist, Alexandru Sonoc and Jung Lee. 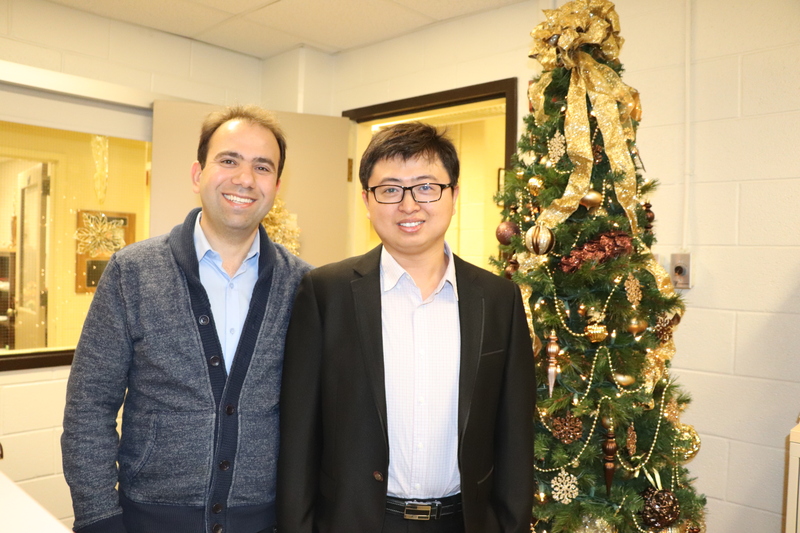 Congratulations to Dr. Lin Li on successfully defending his dissertation and achieving his PhD! 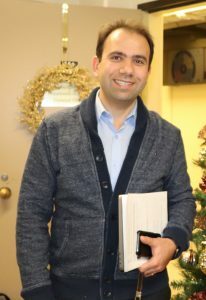 He will soon start his new position as a postdoctoral fellow in our hydro team. Best wishes for this important milestone in his life and career. 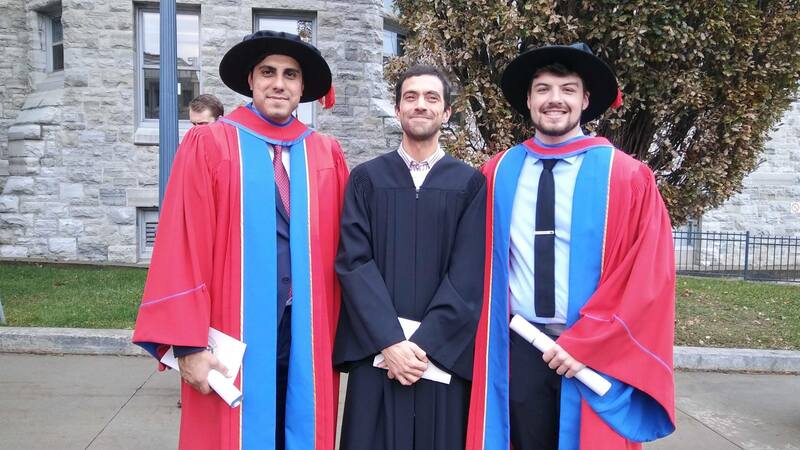 Congratulations to our new graduates, Fazel and Denver. You did it! 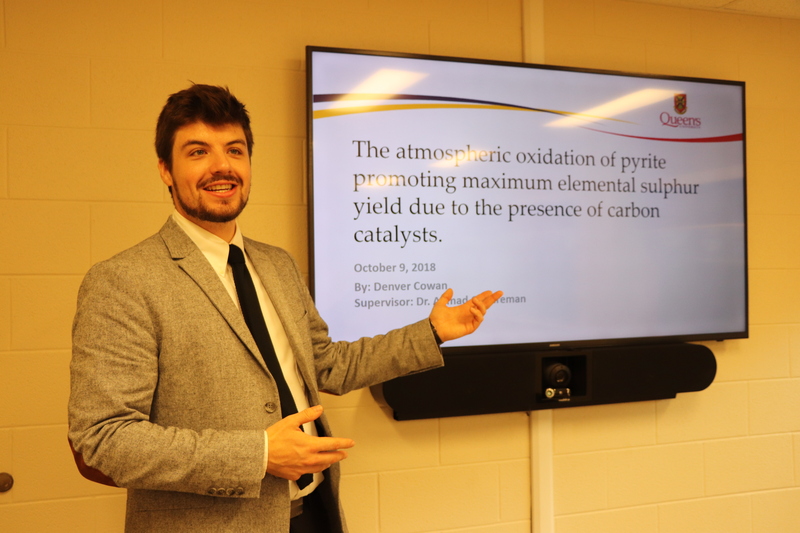 Congratulations to Dr. Denver Cowan for his successful PhD defence! He is now a Metallurgist at SGS, Lakefield. Good luck Denver on a new chapter of your life! 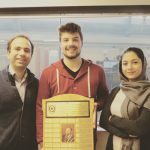 –Denver Cowan: 2018 Gordon M. Ritcey Hydrometallurgy Ph.D. award. –Chengqian (Charles) Wu: 2018 Ernest Peters Master’s award. 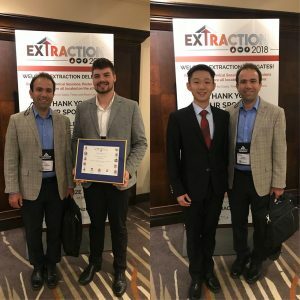 –Carter Senis: 2018 Hydrometallurgy Undergraduate Scholarship. Thanks to the team that helps support the research group and Special congratulations to Dr. Ahmad Ghahreman for the great accomplishment of his group and students. Well deserved! Many congratulations to James Mcneice for his Master’s defence! He is now a PhD student in our group, good luck James! 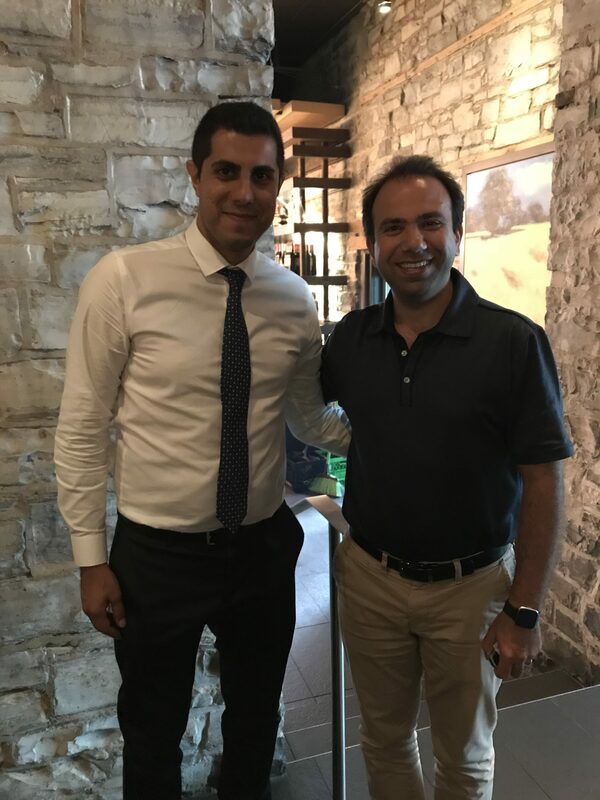 Congratulations to Dr. Fazel Jahromi for his successful PhD defence! 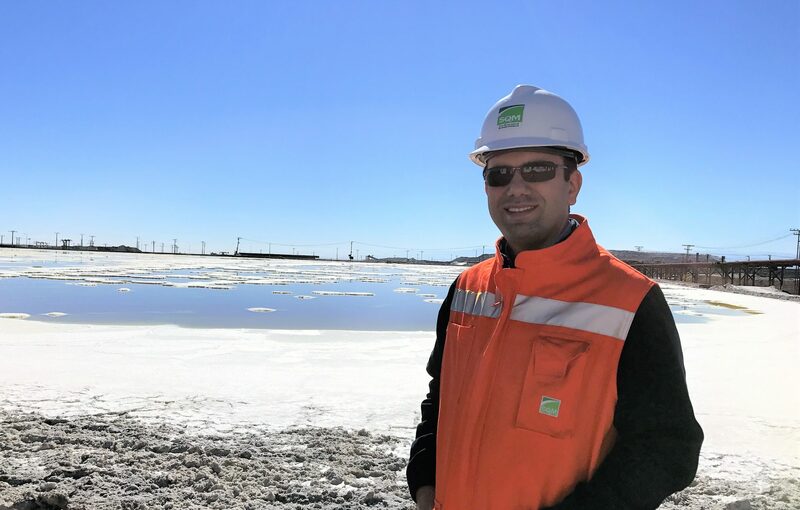 He will soon start his new position as a metallurgist in HATCH, Canada. Congrats to Denver Cowan! This year (2018) recipient of the Paul Chick Award. A great presentation was made by Denver in MINE897, with Farzaneh Sadri as the honourable mention, both from our Hydrometallurgy team. Nov. 2017: Dr. Ahmad Ghahreman recently was interviewed by CBC News in regard to the arsenic issue in Yellowknife, NWT, Canada, and how the research results in his Hydrometallurgy and Environment Group can help to solve the arsenic issue in Yellowknife. To read the article please click HERE. Aug. 2017: Conference of Metallurgists COM 2017 (hosting World Gold Conference and Nickel-Cobalt): Prof. Ghahreman has been the Technical Co-Chair of Hydrometallurgy for this conference. 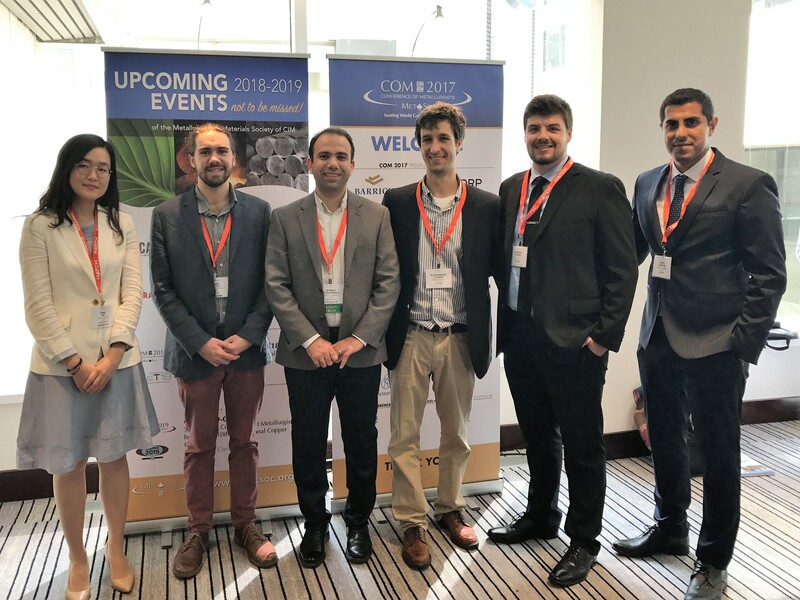 Our group presented 10 papers at the COM 2017 conference including, Dr. Rina Kim, Denver Cowan, Fazel Jahromi, Lin Li, Alex Cushing, James McNeice and Prof. Ahmad Ghahreman. Graduate Research in our laboratory. Prof. Ahmad Ghahreman introduces his Hydrometallurgy and Environment research group. Click HERE to see the video. Dr. Rina Kin, Postdoctoral Fellow, explains her research on gold metallurgy and gold electrochemistry. 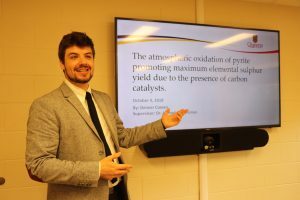 James McNeice, an MSc candidate, tells us about his research on rare earth metals and the challenge with cerium (Ce) in the Canadian REE processing flowsheets. 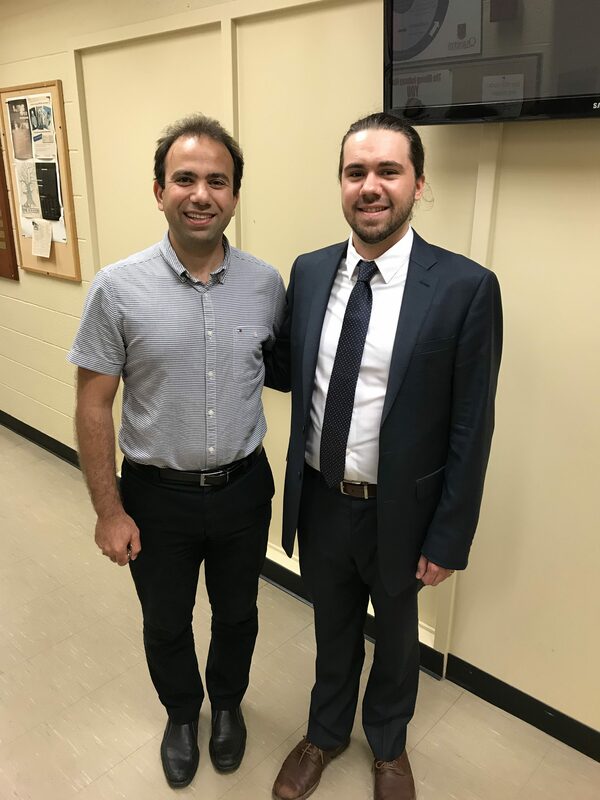 Fazel Jahromi, PhD candidate, tells us about his research on copper recovery from arsenical copper sulfide minerals. Jun. 2017: Dr. Ahmad Ghahreman delivered the opening plenary talk at the Hydroprocess 2017 Conference, Santiago, Chile. 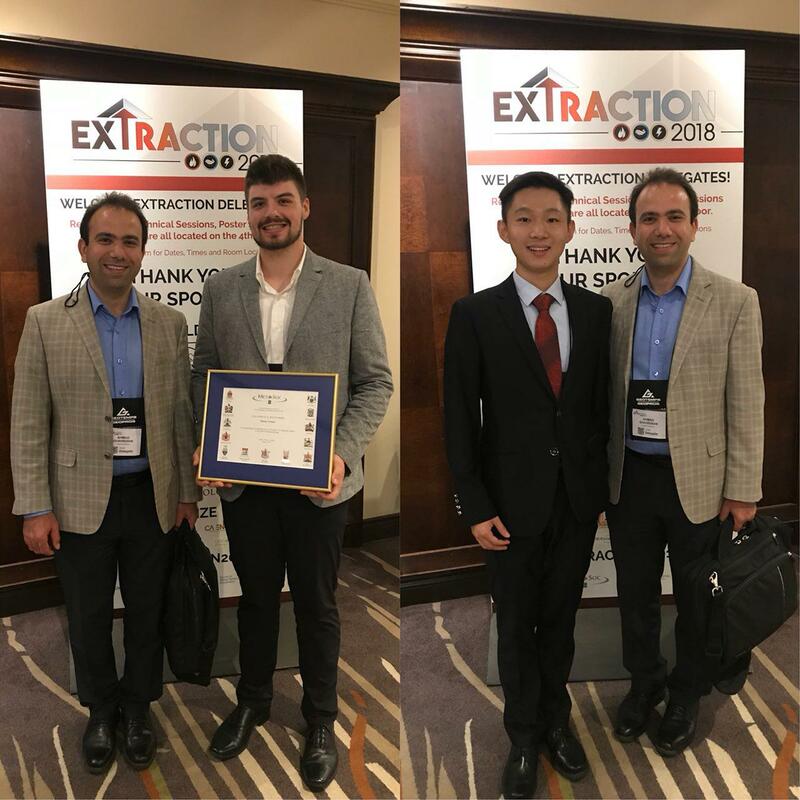 Congrats to Lin Li, Fazel Jahromi, and Denver Cowan for passing their Comprehensive Exams. Well done! 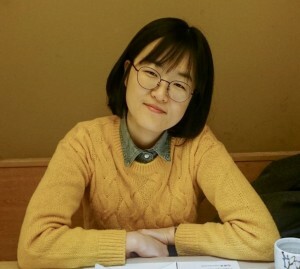 A new postdoc, Dr. Rina Kim, just recently joined us (June 2016). Welcome Rina! We have 4 undergraduate students working with us during summer 2016. 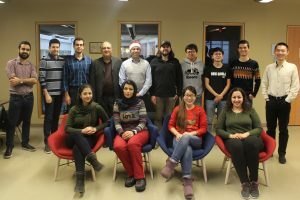 Ian Bergeron (Chemistry, Queen’s), Chengqian (Charles) Wu from China, Vincent El Ghoubaira from Lebanon, and James McNeice (Queen’s). Welcome everyone! Farzaneh Sadri and Caitlyn Mckinley will attend the 2016 Canadian Mineral Processors (CMP) conference in Ottawa, ON. 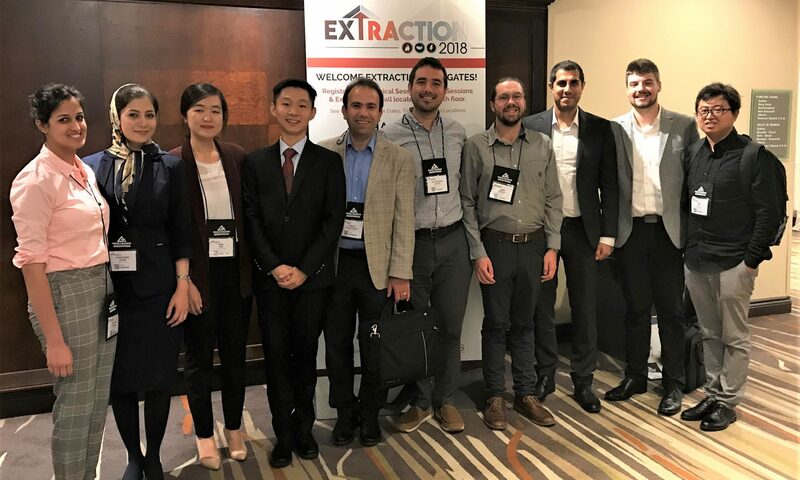 While at the conference, they also will take a short course about the Rare Earth Elements (REE) extraction. We were at World Gold Conference 2015 in beautiful Misty Hills, Johannesburg, South Africa. Ahmad Ghahremaninezhad presented a paper “a novel method for pre-treatment of gold-bearing oxide ores”. Sept. 1st 2015: Caitlyn McKinley is now officially a Master’s student in the Hydrometallurgy and Environment Group. 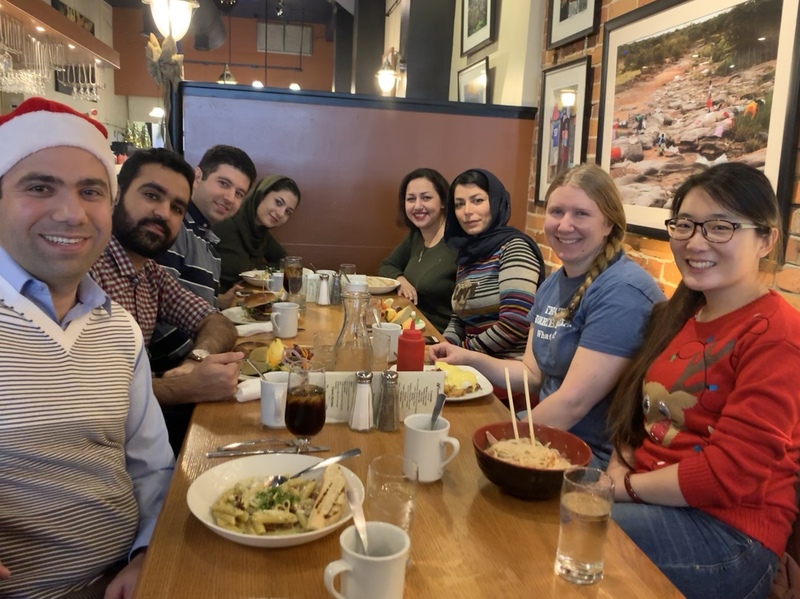 And Farzaneh Sadri just joined the group as a PhD student. 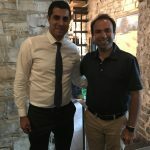 Welcome to both of you! We will be at COM2015, Toronto; Fazel Jahromi and Rebecca Radzinski each to present a paper, and Denver Cowan and Lin Li each to present a poster. Caitlyn McKinley will receive Lucy Rosato Scholarship and Rebecca Radzinski will get the 2015 Metsoc Master’s Scholarship. (August 20th, 2015). Hydrometallurgy and Environment Group is happy to announce the launch of its website! (August 20th, 2015).